A movie about the last days of Hitler’s life, as well as the people around him at the time, is a good idea, and this one is blessed by some strong performances, particularly from Bruno Ganz and Ulrich Matthes (playing Hitler and Goebbels respectively.) Unfortunately, this movie is still very much a drag to sit through, despite a couple of effective scenes towards the end. Not the best way to start the movie year of 2014. It’s nice to see Michael Cera show off his range and break away from his old “awkward teen” schtick, even if it takes playing an insufferable jackass to do so. This turned out to be a peculiar film, featuring elements of road movies and drug trips, filtered through an indie sensibility. I may have dozed off a bit towards the end, but weirdly enough, I honestly believe that made the movie better. Not in a snarky “because I didn’t have to watch it” kind of way, but like it actually enhanced it somehow. I don’t know. I liked this film. It had some charm. A harrowing story that isn’t afraid to ask hard questions. 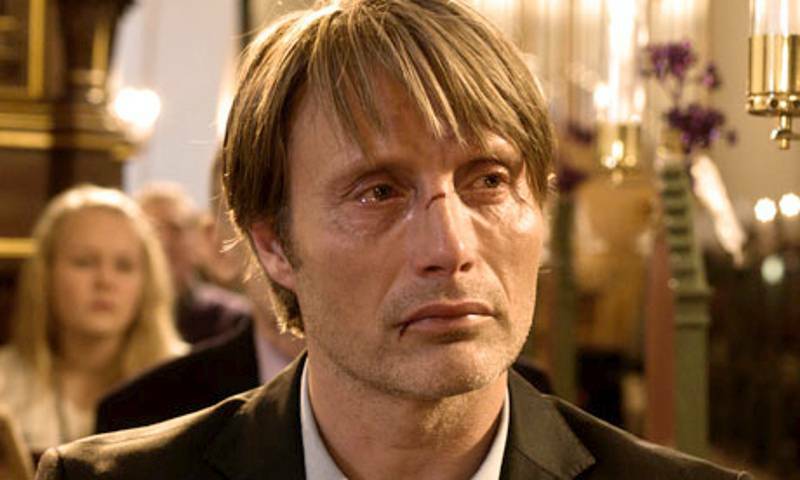 Mads Mikkelsen is excellent in the lead as a man accused of child molesting, but the rest of the cast provide ample support. Even better than Vinterberg’s great 90s effort The Celebration, and the first outstanding movie I’ve seen this year. With a peculiar premise like this – a guy falls in love with his computer operating system – it really is to the film’s credit how deftly it makes me buy it all. It’s an earnest film that touches on great thoughts and ideas, and it’s presented remarkably well; everything from the cinematography to the intriguing near-future production design to the acting is impressive. Something is nagging at me and keeping me from giving it the top score, though. I’m not sure what it is, but I wouldn’t be surprised if it might disappear with time. I get the feeling this movie is going to stick with me for a while. Dark thriller that reminded me of both The Silence of the Lambs and Seven as I watched it. Strong performances, beautifully shot, and with a totally engrossing story. The story is just kind of there, doing enough to keep the movie going but not being anything particularly noteworthy. This is a film where the acting is the highlight. Cate Blanchett puts in a wonderfully realized turn as a woman in breakdown mode. It’s a real powerhouse performance. 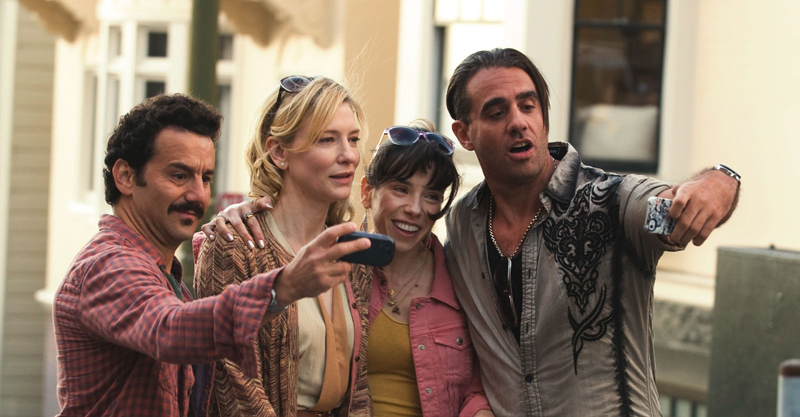 Supporting players Sally Hawkins, Louis C.K., Andrew Dice Clay and others are also memorable. Fun characters, but Woody Allen can do better than this. Excellent performances that serve the heartfelt – if familiar – story perfectly well. There’s also quite a bit of cool soundwork going on here, and the final scene probably ranks among the year’s finest. 12 Years a Slave is not quite the kind of spellbinding film that McQueen’s previous movie Shame was, as here he settles for more conventional storytelling, but perhaps proving himself as a highly competent storyteller is the right way for him to go at this point. Plays kind of like a Pi by way of Christopher Guest, only neither interesting nor funny. This is a movie about nothing.